[1.0.5] [RELEASE 0.8] Sido's Urania System : 7 new planets and 8 moons ! is a really light and very optimized planet pack (less than 80 Mo for 7 new planets and 8 moons) I'm creating for Kopernicus. [TD]Urania ? Does it look like a pee planet? Seems to be cool, but how many celestial bodies does this beauty have? And where in the kerbol system is it? It is on a 2Ã‚Â° inclined orbit at 46 millions kilometres of the sun. It's just after Dres' orbit and just before Jool's orbit. Not so far away! Arggg I can't wait, where can I download this pack ? I've tested this mod with 1.0.4 and Kopernicus 0.4. You can launch your game, it's simple as this. [TD=width: 40%, align: left]What does Urania's pack look like ? - 26/01/2014 - Add final version of Aurora borealis to Ares and kerbin, remake of all the clouds layers of all planets. Great textures, as far as I can tell from the screenshots. What is Sido's Urania Planet Pack ? 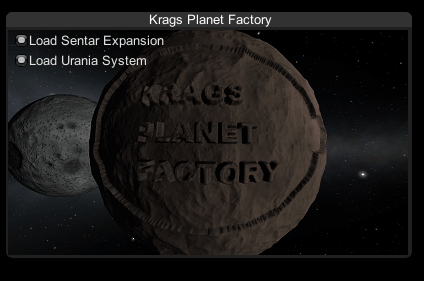 It's a planet pack I'm creating with Kragrathea's Planet Factory Creators Edition mod. First of all, you need to download this mod to use this pack! Urania? Does it look like a pee planet? 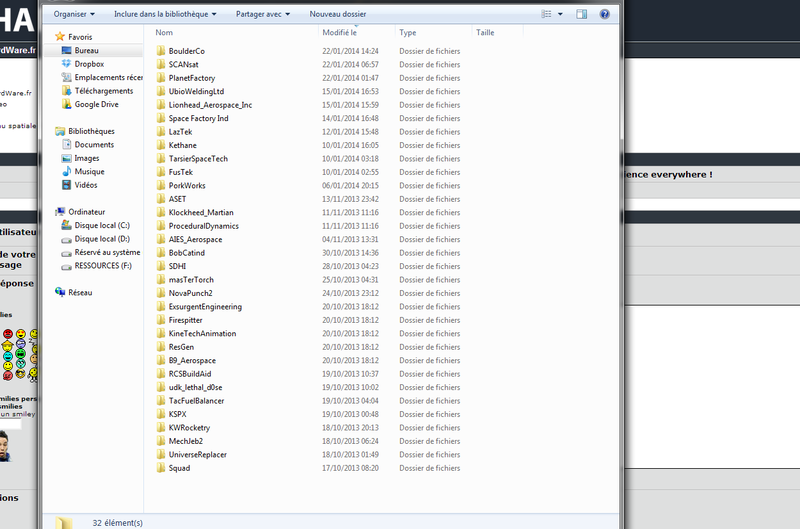 The "Urania folder" to put in your PlanetFactory's CE folder. I really spend a lot of time making this pack the best that I can. [td]Arggg I can't wait, where can I download this pack ? Calm down You can download it by clicking here ! What does your system pack look like? I'll make an update when Krag's mod allows this. Just quote this and copy everything but the quote tags and edit your first post. Today, HFR is proud, Sido. Really proud. This thread deserves a " ". Thanks for the awesome pack mate. Exeption: The given key was not present in the dictionary. I've tried a Fresh install of both Planet factory CE and your mod. Awesome pack. The textures look great! Absolutely no idea, i never have this problem. Did you see well this screen when you start ? Ahh I see, I hadn't known I needed to load the Sentar expansion too. I got it to work another way, by modifying the Urania.CFG planet template from Sentar to Jool. Looks exactly the same judging from your pics, but don't have to Load Sentar. I dont plan reading description and watching screens. This will be trurly travel to unknown! oh and one thing, does scansat and kethane work? I've always wanted a set of planets where Dres is. That area is a void for me, only entered in transit to Jool. Can't wait to try this. I note that in the screenies, some of the orbits look VERY inclined. I'll have to examine that closer. I like how you matched Urania's orbit to make Dres look like it really did escape the system just barely. In the first version of the pack, Urania was after jool. So I decide to put near the Dres orbit. Yes. ScanSat works by generating the map as it pulls it from PQS, rather than revealing a preshaded map. It will work on any body with a heightmap. Kethane automatically generates deposits on all planets (planets can be weighted to have more or less manually). There's no reason either should not work. It's not so much a personal dislike, but rather a bit of a realism issue. Planetary systems don't form on high inclinations. Bop is the highest inclination in the stock game at ~13.4 degrees. Are these planets/moons integrated into the science system? 1. Is there a big frame rate drop/performance drop/reduction in part count I can use before my computer begins to die? 2. I see that you get Sentar too. Does it also come with the extra suns? I dislike them and their nonsensical orbiting no offence Krag! 3. Is the blue bit on Ares water or blue rock? 4. Does science work? Will science ever work? Interesting. I'll have a try and see if it fits in RAM with all the mods.. That will spice up my next Grand Tour. One small question though: does this still break Science Archives? i have a problem! all the planets are black or wierd colored! i have no idea whats going on! i post screenshot soon. The loading is long, especially when the Planetfactory create the celestial bodies, but it work.